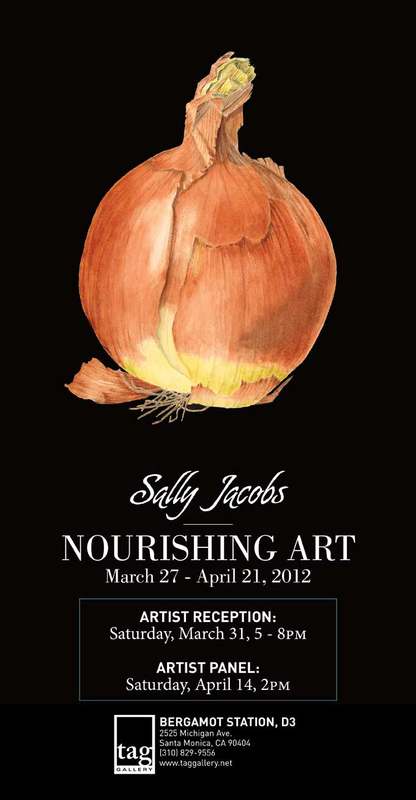 BAGSC member Sally Jacobs will be having a show entitled “Nourishing Art” from March 27 – April 21, 2012 at the TAG gallery. The artist’s reception is on Saturday, March 31, from 5 – 8 pm; an artist panel will be held on Saturday, April 14 at 2 pm. In this watercolor exhibition, Sally shows that she takes her healthy eating, and painting, seriously. With their vibrant colors and remarkable shapes, each of these nutritious vegetables from outdoor farmers’ markets in the Los Angeles area cry out, “eat me!”, and you should. TAG gallery is in Bergamot Station, D3, at 2525 Michigan Avenue, Santa Monica, California, 90404. The phone number is 310.829.9556; hours are Tuesday through Saturday, 11 am – 5 pm. 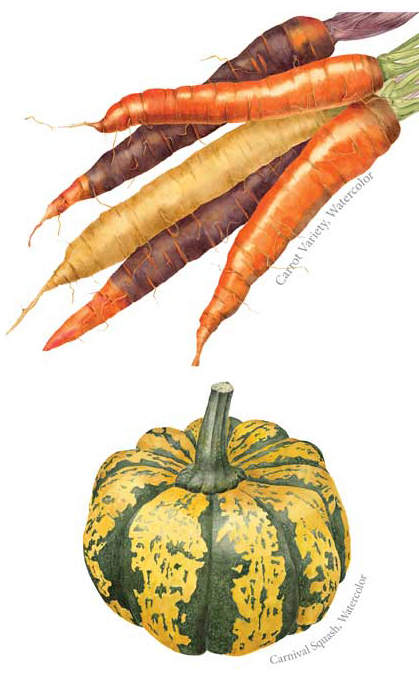 Vegetables painted by Sally Jacobs, watercolor, © 2012, all rights reserved.